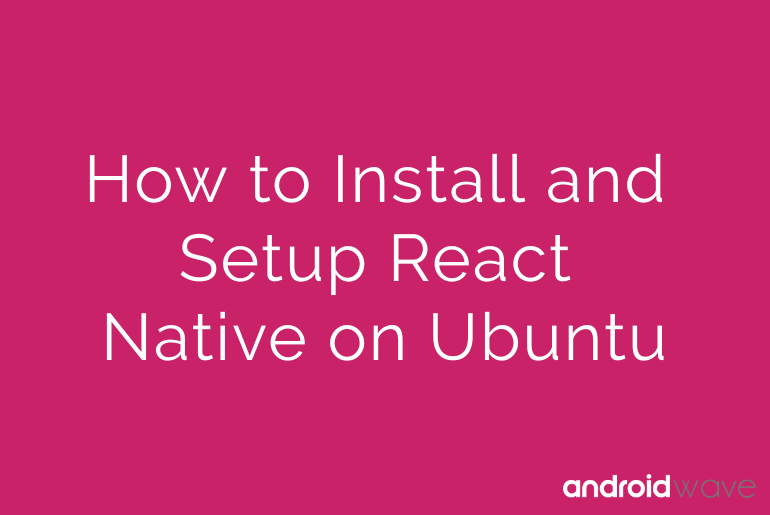 Welcome guys, In this article, We will learn how to install and setup up React Native on Ubuntu. You will have to follow all the below step one by one. I assure you the end of this article you feel happy and save a lot of time. I’m assuming you are using Ubuntu machine and you have admin access. Let go head with below step. Firstly, We have to install Node.JS and npm for React Native mobile app development. Let’s move to terminal. 3.2 Now update your package repository. Now we have to set up some environment variables. Because React Native tools require some environment variables to be set up in order to build apps with native code. You will need to Android device to run your ReactNative App. It can be either physical or virtual Android device . To do that open the android studio and create a virtual device . and power up AVD. Congratulations! You’ve successfully run your first React Native app.